Jamie Cat Callan: The Parisian Charm School is coming to Cape Cod...and beyond! 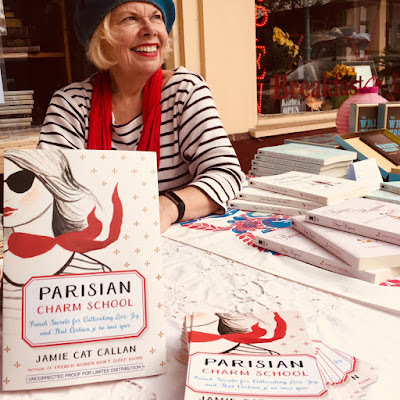 The Parisian Charm School is coming to Cape Cod...and beyond! I'll be on the Cape in August and I'd love to share a little of that Parisian Charm with you! If you don't live on Cape Cod, but have friends there, I would be so grateful if you told them about my events. Merci beaucoup! Best wishes for your book tour. I escaped to France 17 years ago and I can assure everybody that there's a lot of important truth in that book.